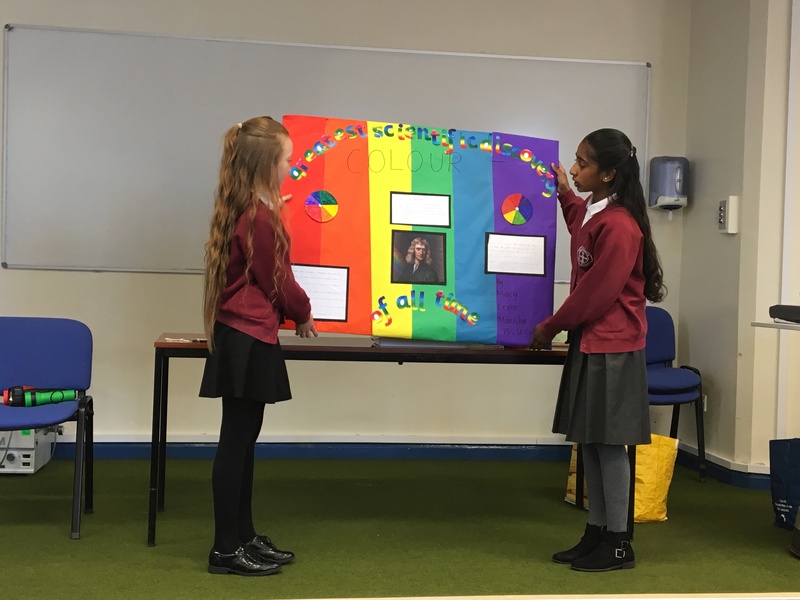 Macy, the winner of our Science competition helped to produce a fantastic presentation about the scientific discovery she thought that was the greatest of all time – colour! 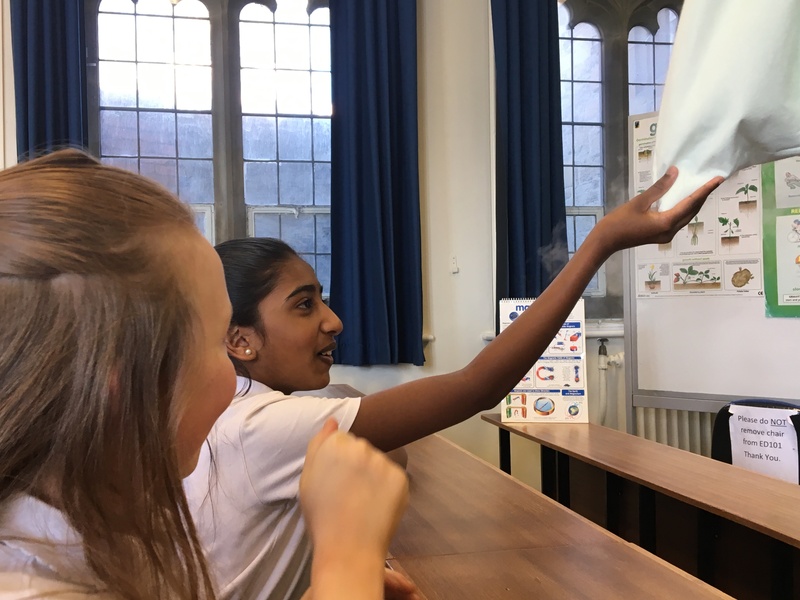 Although Macy was unable to attend the science fair she sent two friends in her place, Lexia and Manisha. 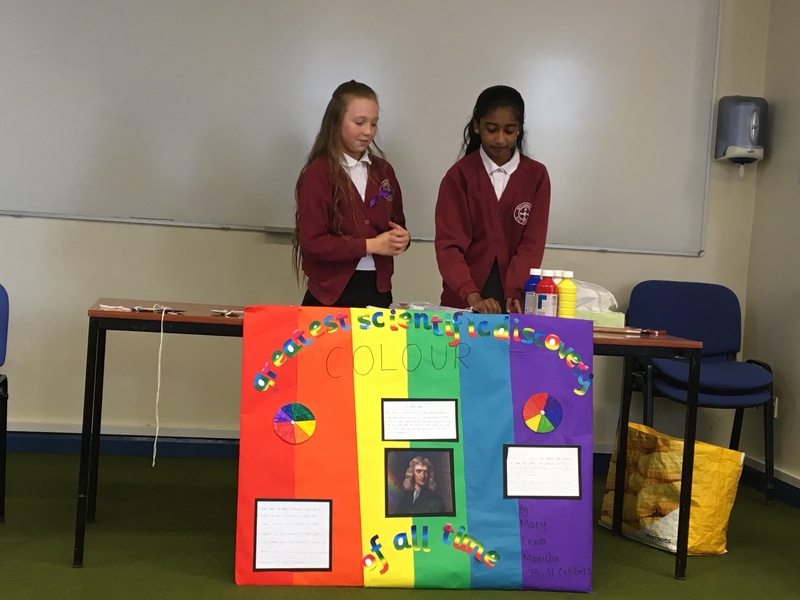 They did a fantastic job and there was lots of audience participation as they demonstrated how Isaac Newton’s colour wheel worked, how you can see a rainbow appear through a glass prism and that by mixing 3 colours you can make other colours. 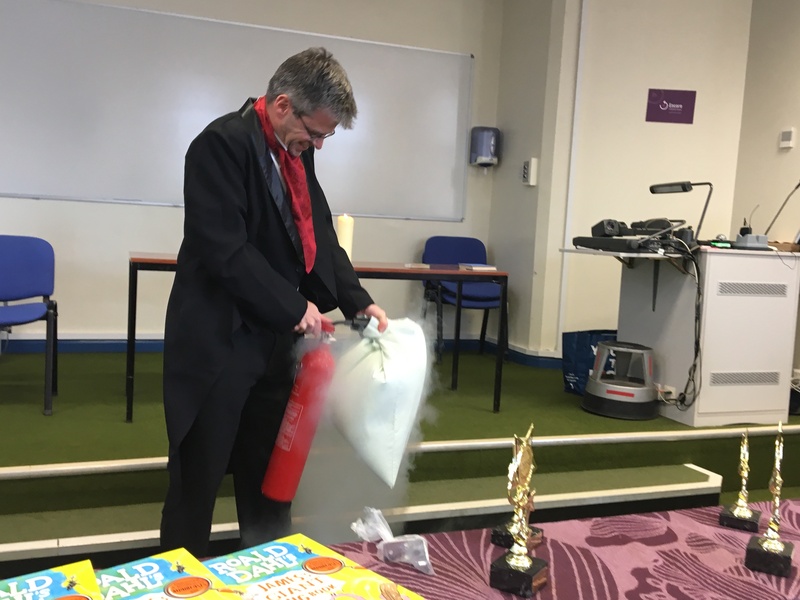 There was even a science demonstration by Michael Faraday themselves. 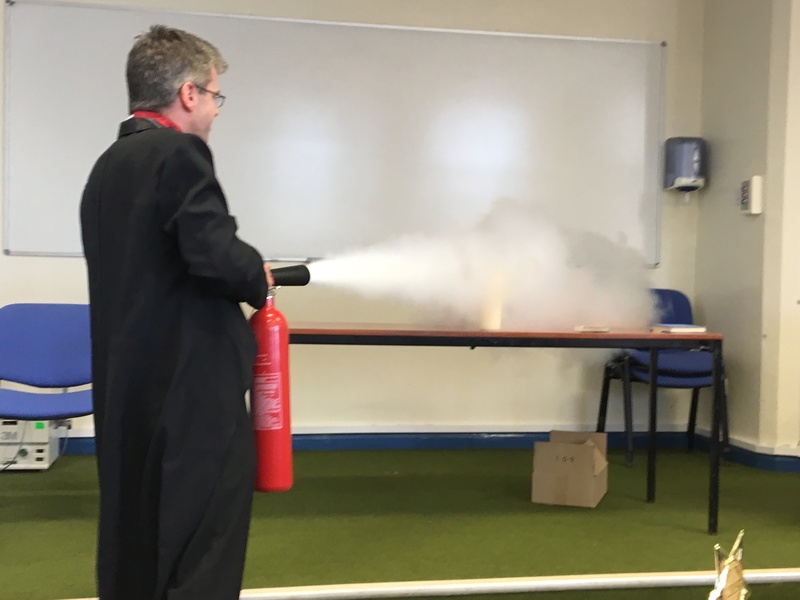 They were great science ambassadors for the school. Well done!